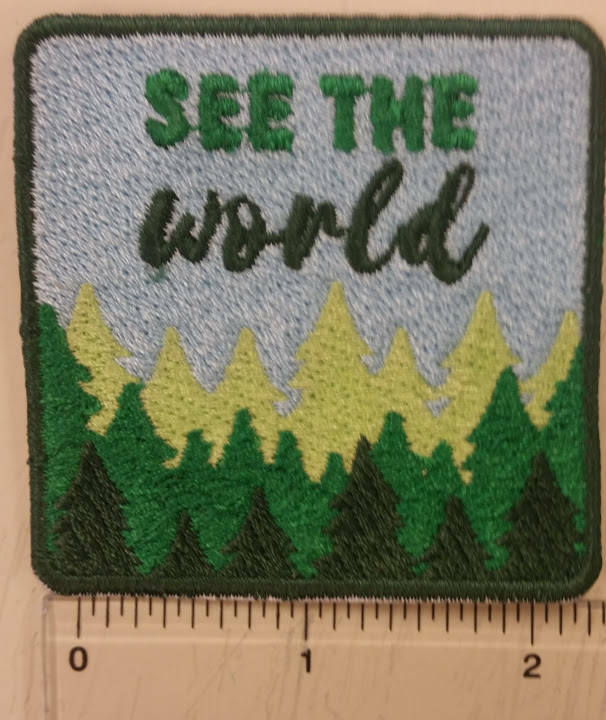 Add this nifty patch to your outdoor bags, backpack or apparel. 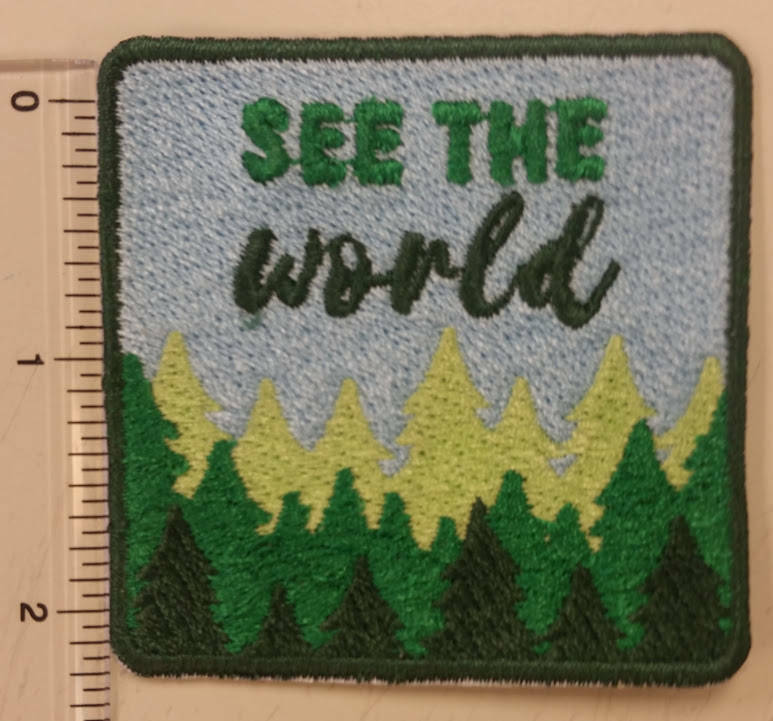 It measures 2.5" W X 2.5"H. It is sewn with blue, kelly green, lime green and evergreen thread and says See the World on it. It has an iron on adhesive to make application to your garment a little easier. Great patch. Nice quality. 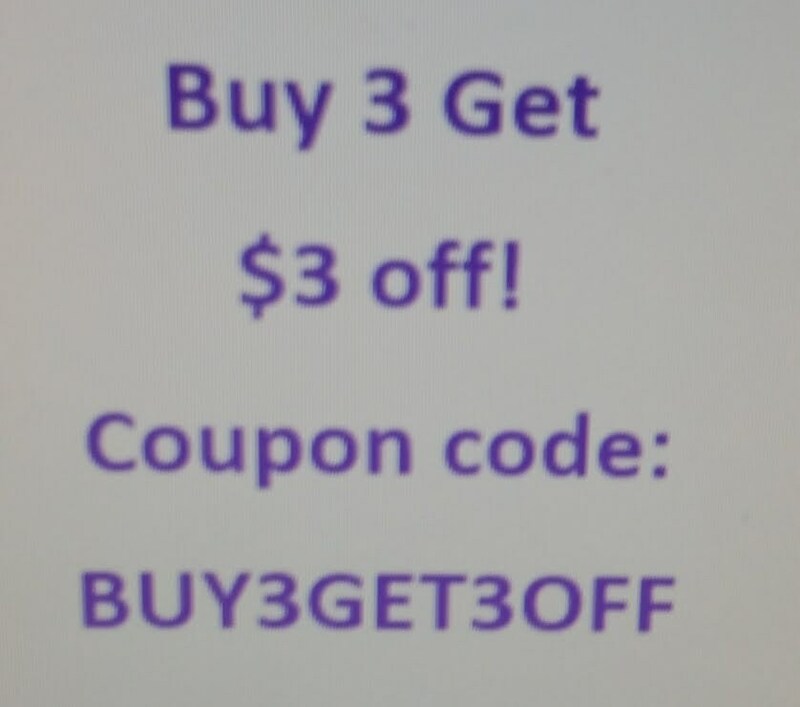 Can't wait to put on my jacket! 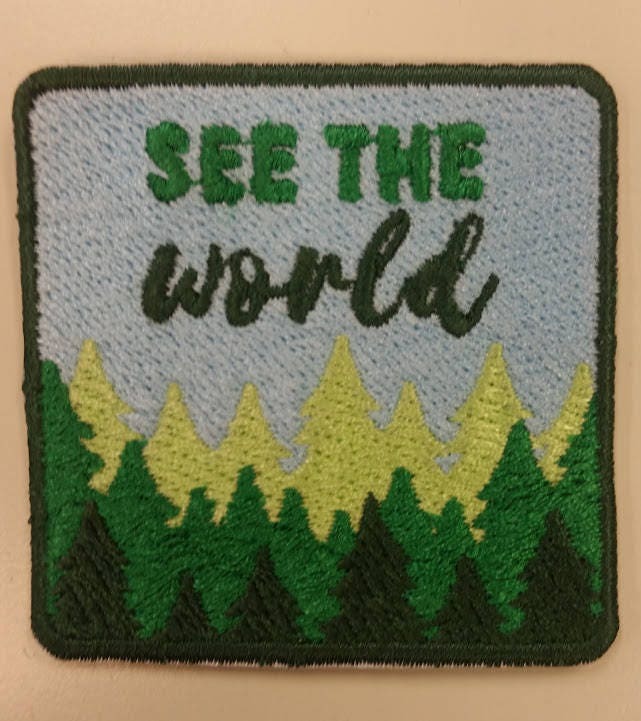 This is an amazing and beautiful patch! So love it! My best friend gave me this North Face jacket she didn’t wear as much, maybe due to the oil stain that wouldn’t wash out. So I put a patch on it! 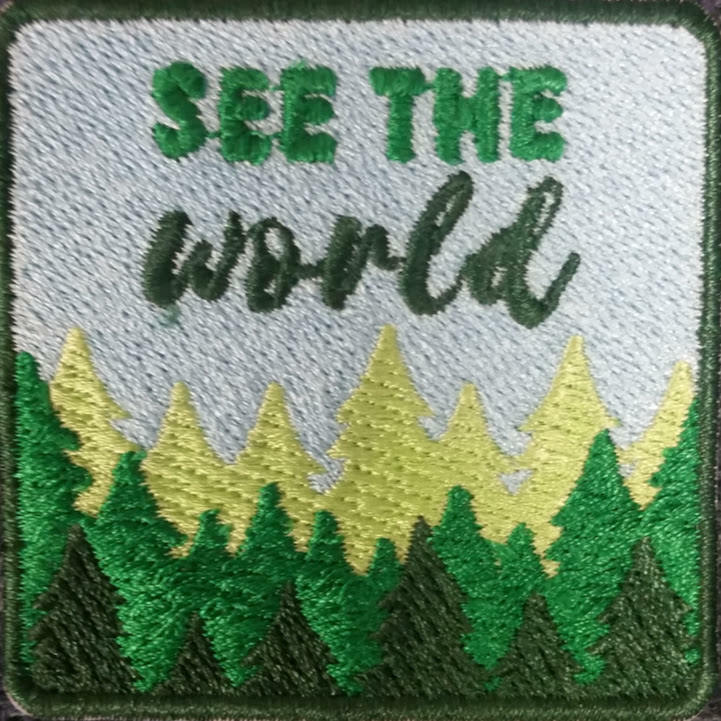 Great quality, thick patch, my only regret is not buying it sooner! Adventure jacket may need more patches soon!